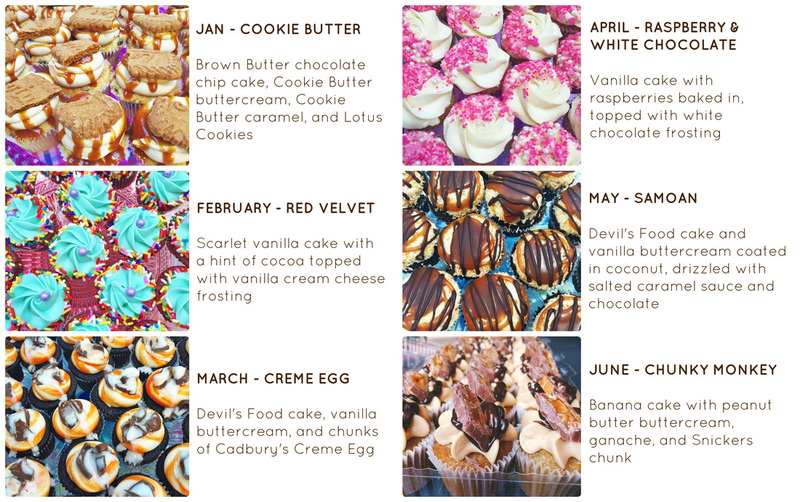 1 flavor of Full cupcakes per monthly box, as detailed below. Prices do not include monthly delivery fees. Please see below for details. 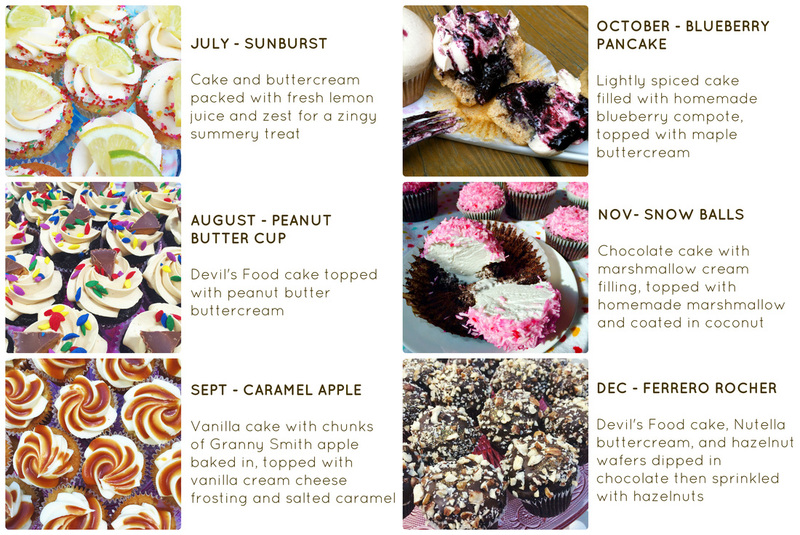 Prices are for cake and topping only as described in our menu. Pictures serve as example only. Custom handmade decorations are available, please inquire.